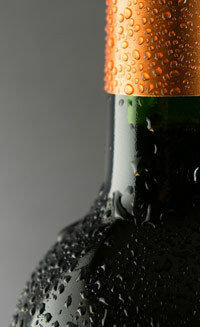 Beverage Factory - What Factors Can Ruin A Bottle Of Wine As It Ages? What Factors Can Ruin A Bottle Of Wine As It Ages? Question – What Factors Can Ruin A Bottle Of Wine As It Ages? I have some bottles of wine that I am planning to age. What is the ideal environment for aging wine? What ruins wine as it matures? Temperature and humidity are of paramount importance for wine storage and aging. Extremes fluctuations of both temperature and humidity affect your wine’s well-being more than any other environmental factor. Whether you are storing your wine for a short period of time or planning on aging it a decade, wine must be kept at the correct temperature level and humidity levels to preserve and encourage flavor development. Temperature is the single most important factor influencing the development of your wine. For optimum storing and aging, wine should be housed in an area where the temperature fluctuates no more than 50° to 59° Fahrenheit. Of course, not everyone has a private cave in France where this ideal temperature naturally occurs. Well, lucky for you there is a gigantic industry out there (of which the BeverageFactory.com is happy and dedicated to being a part of) that is devoted to producing wine refrigerators, wine cabinets and wine cellars that will store your wine at a consistent and constant temperature between 50° and 59°. Temperature consistency is the key to preserving and aging wine. Temperature fluctuations will prematurely age your wine by causing your wine’s cork to deteriorate and also causing biochemical reactions within the wine, resulting in loss of flavor and a shortened lifespan. For example, if your wine is stored at temperatures in excess of 75°, it will mature faster than it is designed. However, if the temperature is constant, your wine should not be harmed, just a bit prematurely aged. At temperatures above 90°, a wine’s character will fall apart quickly and become ruined in as little as 24 hours. You can always spot a bottle that may have been left in conditions that were too hot or went from too hot to too cold too fast based on sticky residue forming around the cork. This occurs when heat causes the wine to expand and contract, which in turn damages the efficiency of the cork. As the cork shrinks, traces of wine will escape and seep around the cork which will also allow a small amount of oxygen to enter into the bottle and wreak havoc with the wine’s integrity. In addition to extreme heat or extremes in temperature fluctuation, a wine that is kept at temperatures that are too cold (below 50° Fahrenheit) will suffer from stunted flavor growth. The wine may preserve, but it will taste flat and never reach its full potential. Just as a stable and specific temperature range is essential for preserving and aging wine, moderate amounts of humidity in wine storage environments are extremely important to a wine’s flavor potential. For long-term aging, your wine should be housed in a range of humidity somewhere near 70%. This level of humidity ensures that instead of shriveling up and drying out, your wine’s cork remains nice and plump and an efficient seal against rogue air and oxygen. With wine storage, keeping the cork in excellent condition is the secret to proper aging. The right amount of humidity and the correct temperature are the two necessary elements that will keep the wine’s cork properly expanded and the wine bottle fully sealed, thus protecting the bottle’s precious contents. Wine Aging, Bottle, Wine. permalink.